Cuisinart EasyPop Popcorn Maker Just $41.51! Down From $90! PLUS FREE Shipping! You are here: Home / Great Deals / Amazon Deals / Cuisinart EasyPop Popcorn Maker Just $41.51! Down From $90! PLUS FREE Shipping! Don’t miss your chance! Amazon offers this Cuisinart EasyPop Popcorn Maker for only $41.51, down from $90.00 PLUS FREE shipping! 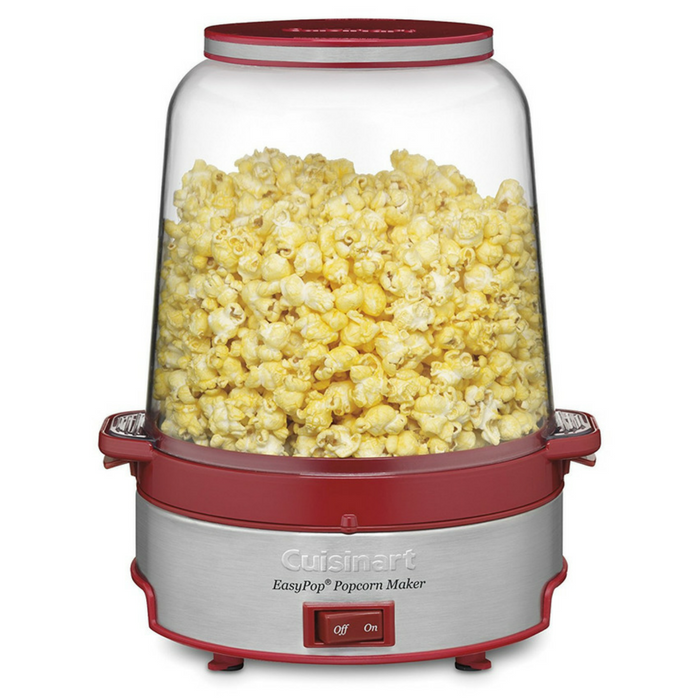 The Cuisinart EasyPop Popcorn Maker makes it easier than ever to pop crunchy homemade popcorn. This popcorn maker pops up to 16 cups and has special vents in the popping bowl to let moisture escape. Popcorn lovers can select the desired amount of oil and salt to make popcorn just the way they like it. When popping is complete, they can serve right from the popping bowl!